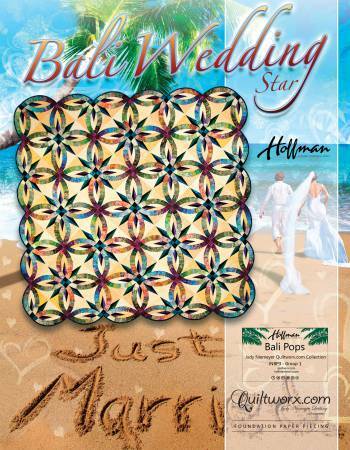 The Wedding Star pattern was designed for foundation paper piecing and utilizes strip piecing to complete the foundation piecing on the arcs. 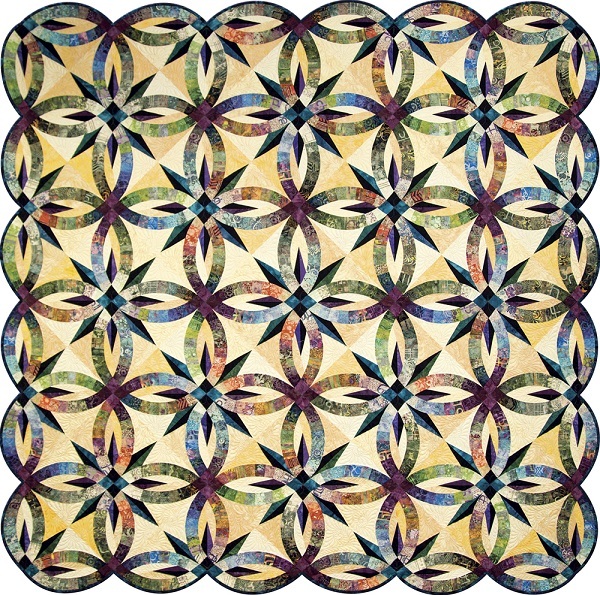 The redesigned stars with floating points will have you amazed at how easily this quilt will go together. Template Layout Sheets will speed up the cutting process for the stars and background pieces. Choose one of Judy Niemeyer’s specially coordinated 2 1/2″ strip sets — or work from yardage using 8 fabrics in a gradient from light to dark for your arcs. This quilt will be one of your favorites for years to come!